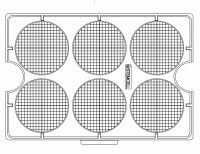 STEMgrid™-6 is a counting grid designed to attach to the bottom of any SmartDish™ 6-well plate (Catalog #27370). 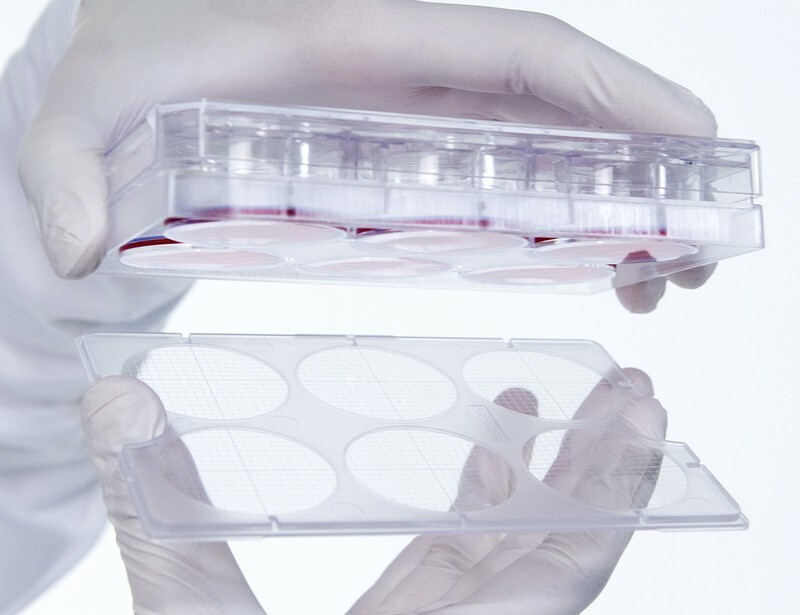 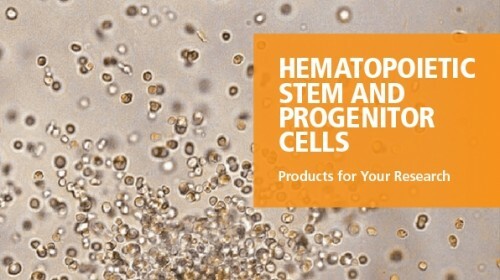 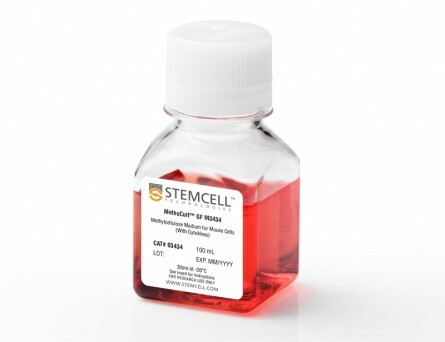 STEMgrid™-6 is also suitable for manual counting of hematopoietic colonies in standard 35 mm dishes, which can be placed individually onto the grid surface. 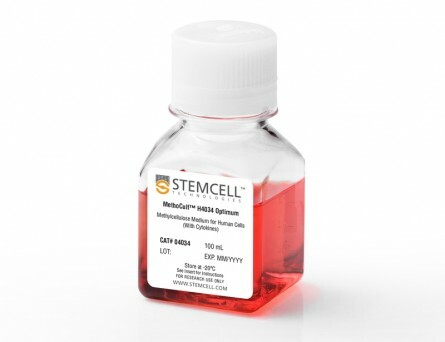 STEMgrid™-6 contains gridlines to assist in the manual counting of hematopoietic colonies using an inverted microscope. 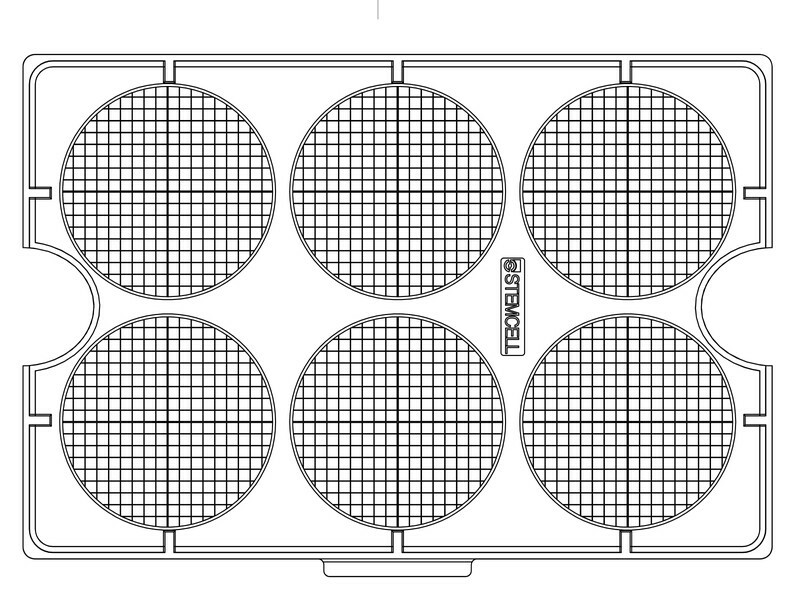 The six 35 mm diameter areas of 2 x 2 mm grids precisely align with each well of a SmartDish™ 6-well plate. 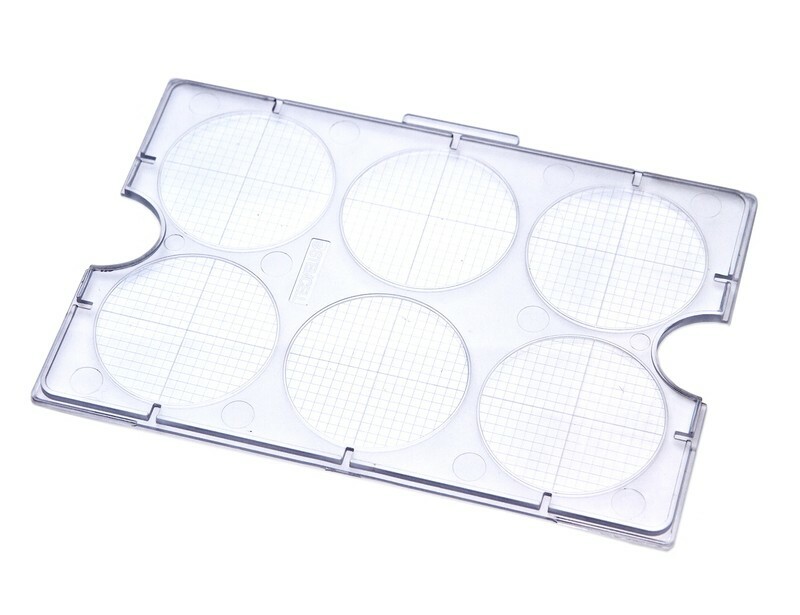 In addition, each of the six gridded areas are divided into quadrants by thicker lines, to facilitate counting of only one-quarter or one-half of the culture, and as a reference for locating colonies in different areas of a well during counting. 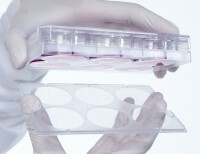 Shown are representative 35 mm wells from standard (A) and SmartDish™ (B) culture plates, each with STEMgrid-6 attached to facilitate colony counting on an inverted microscope. 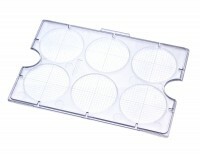 Optical distortion caused by the meniscus obscures colonies at the edge of cultures grown in standard plates (A) and makes them more difficult to count (see circled colony). 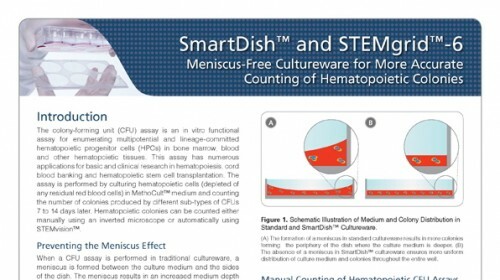 Colonies are more easily seen and counted at the edge of the SmartDish™ wells which have been treated to eliminate meniscus formation (B).